The “Brush Your Teeth” app! This app lets your child learn to brush with a little buddy! They first choose a horse, dog, or bunny, then select the food they’ve eaten that day and take turns brushing their little animal friend’s teeth and then their own. It teaches about taking care of your teeth by taking care of their animal buddy’s. This free app also lets your child choose their own character. Instead of little animals though, there are two monsters to choose from; Zookie and Kazowie. Your child will get to choose their outfits and what toothbrush they use before brushing. This app gives a timer and instructions on where to brush for how long to make sure your child is getting all their teeth clean! This app also lets you choose an animal character. 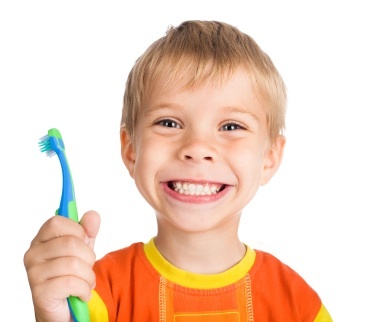 In addition to making brushing fun, it instructs your child on where and how to brush, floss, and rinse. Each time your child brushes using the app, they get coin rewards that can be used to feed their pets. It also helps your child choose healthy food options for their animals, so this app is really a win-win-win! If you have any other concerns about your children’s dental health be sure to visit Dakota Dental. In addition to pediatric dentistry, we can help with any questions or concerns you may have regarding your own oral health. Whether that be about preventative dentistry, oral surgery, or cosmetic dentistry; Dakota Dental, the family dentists in Apply Valley, can help with all of your dental service needs! For a list of all our dental services click here! And if you’re interested in scheduling an appointment for your child or yourself visit our website here or call 952-431-5774.